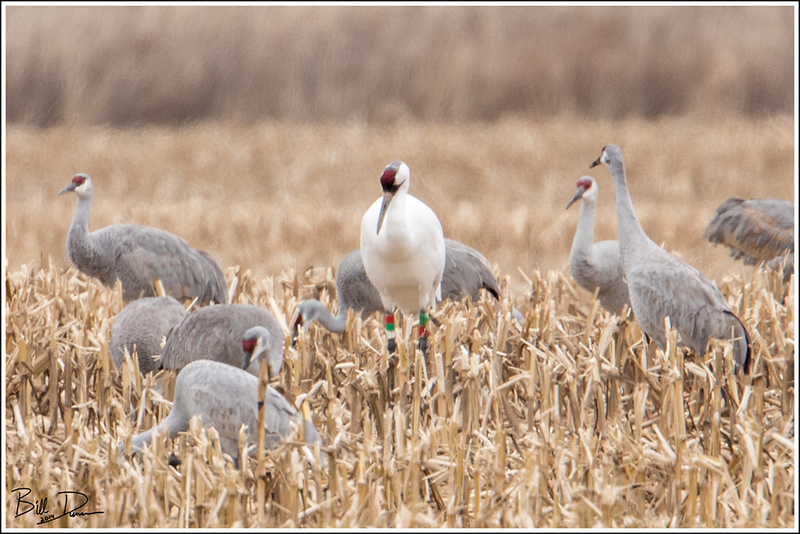 This past Thanksgiving break Steve and I found ourselves back at Jasper-Pulaski to see the tens of thousands of Sandhill Cranes that stop there during their autumn and vernal migrations. 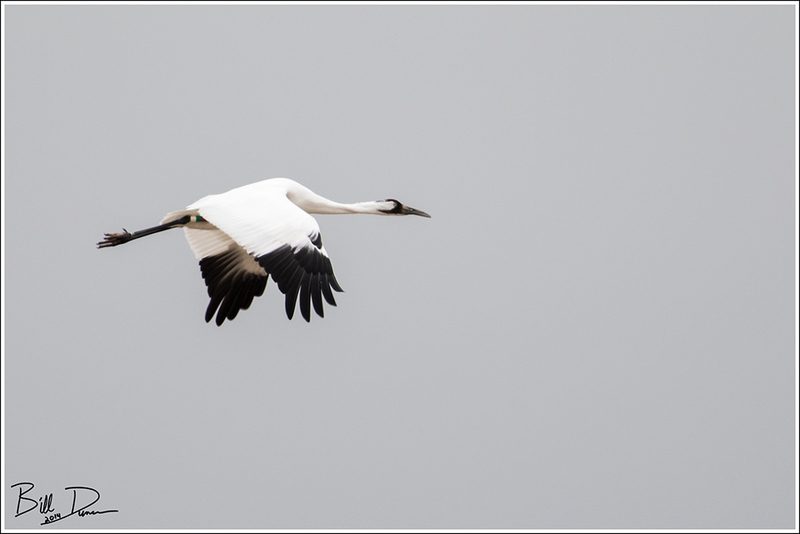 Although the spectacle of that many three-foot birds in one place is always worth the drive, of course we wind up with heavy overcast skies, which makes getting interesting photos quite a challenge. The numbers of birds during this visit did not disappoint. This was a life bird for the both of us, and with about 500 birds left on the entire planet, we were sure going to watch this guy as much as we could. At five feet tall, with nearly an eight foot wingspan, this mostly white bird could be seen for well more than a mile away. This made him easy to follow, but we made sure we gave him his space. 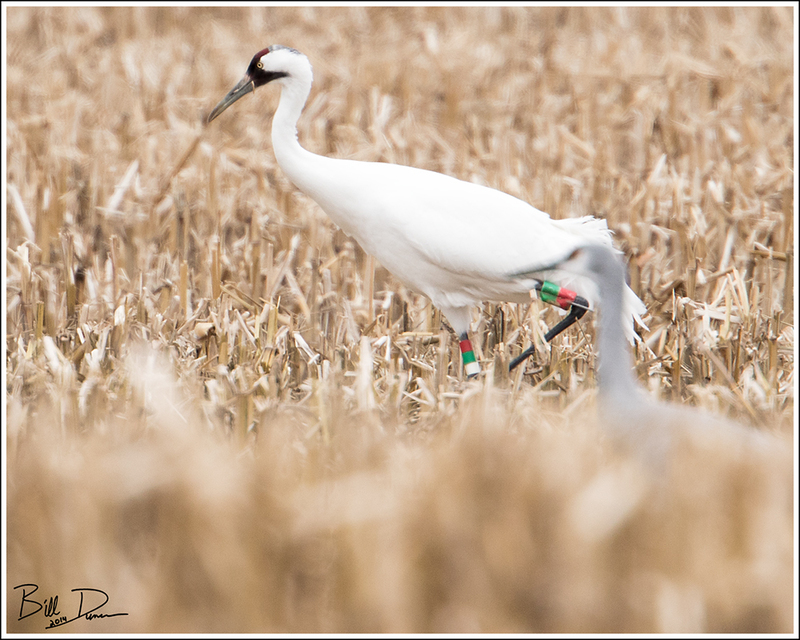 He was definitely attached to the Sandhill Cranes, and seemingly was uncomfortable without being near at least a few of his cousins. How do we know that Nougat is a male? See his colored leg bands in the 2nd and 3rd photos of this post? These are used to identify and keep track of the banded birds. Click on Nougat to read more about this fantastic bird.